Ready made tea mix of full bodied Assam tea blended with spices like cardamom, cinnamon, clove and pepper that provide the experience of a great taste combined with all the benefits of Indian spices. Just add hot water to make a perfect cup of chai!. Gentle Spices awaken the senses in this delicious and traditional Indian Chai. 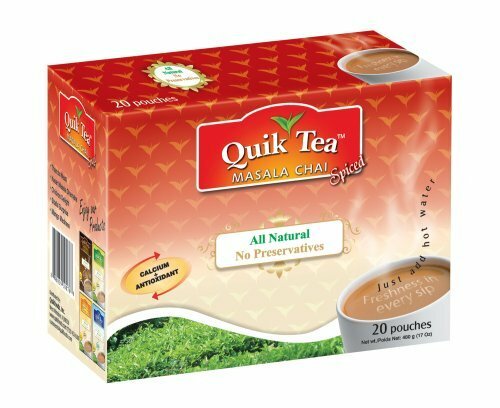 If you have any questions about this product by Quick Tea, contact us by completing and submitting the form below. If you are looking for a specif part number, please include it with your message.